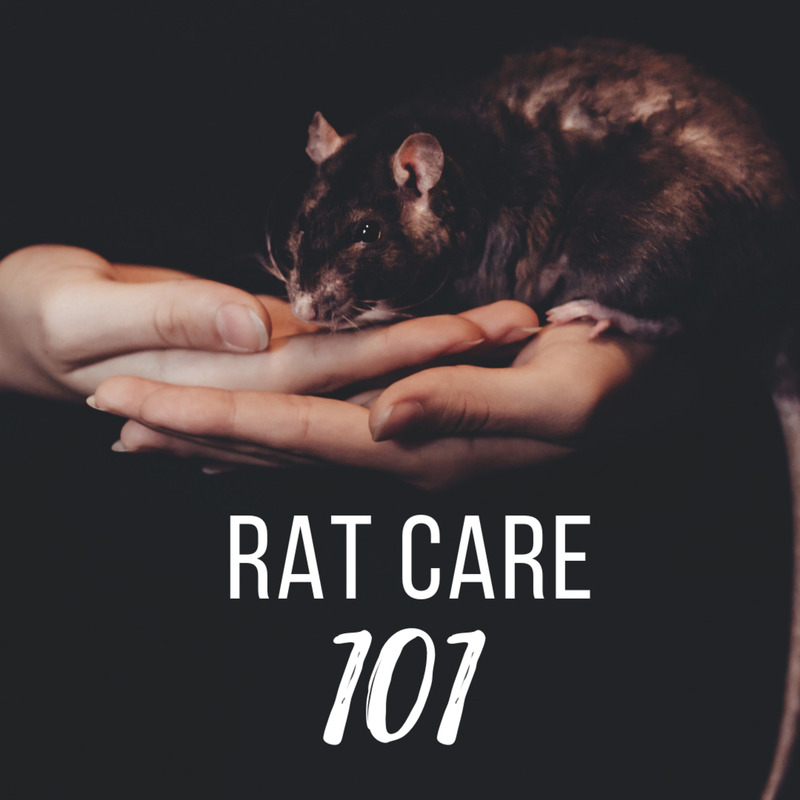 If your pet rat is new to you, it may not feel comfortable being handled and, as a result, will be frightened and insecure. It’s important that your pet rat remains calm when introducing it to a dog, or it may be too scared and uncomfortable to make friends. A scared rat is more likely to scratch or bite your dog out of surprise and ruin the chance of forming a friendship. How would you feel if you were being picked up by a stranger and forced to greet and smell another animal that is so much bigger than you? 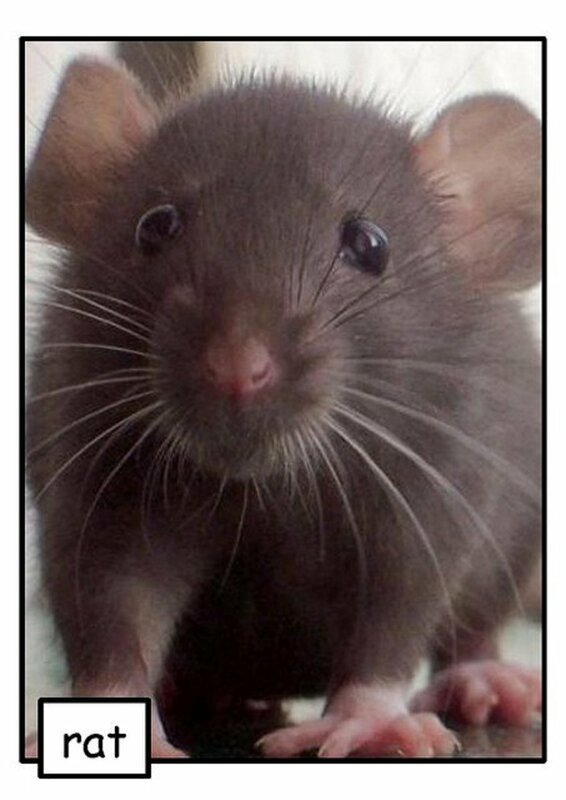 Your pet rat needs to feel secure and safe in your grasp before you introduce it to your pet dog. When you are introducing two pet rats, it is suggested that you let them smell each other through their cages first; when introducing your rat and dog, keep your pet rat in its cage and introduce the dog into the same room. It may help to leash your pet dog to ensure it keeps its distance. 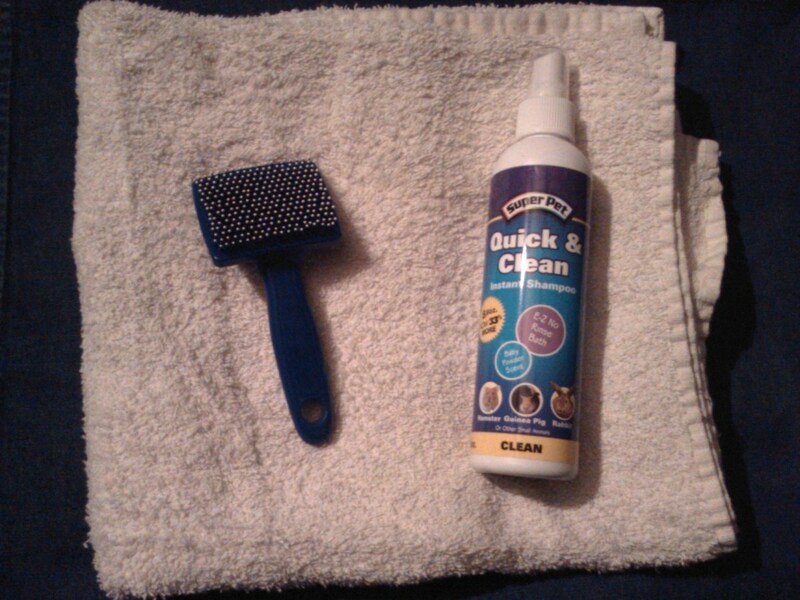 Be careful - this is your pet rat’s territory, and your rat may act aggressively if your dog gets too close. Having the two animals nearby will allow them to smell each other. 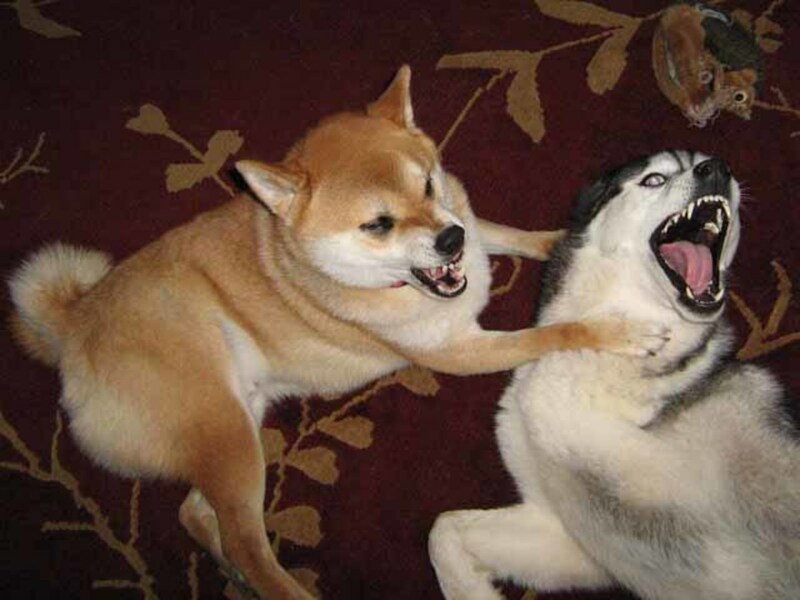 If your dog acts aggressively at this point, it’s possible your pets may not get along. Repeat this step as long as you feel necessary - for some it might be a few days, and for some it might be a week. After letting your dog and rat smell each other for a while, you can try introducing them on neutral ground. Neutral territory is anywhere that the two animals don’t consider their own. This could be a room that your pets aren’t allowed to go in, or the couch that your dog isn’t normally allowed to lay on. If possible, you should have one person holding your dog and another holding your rat. 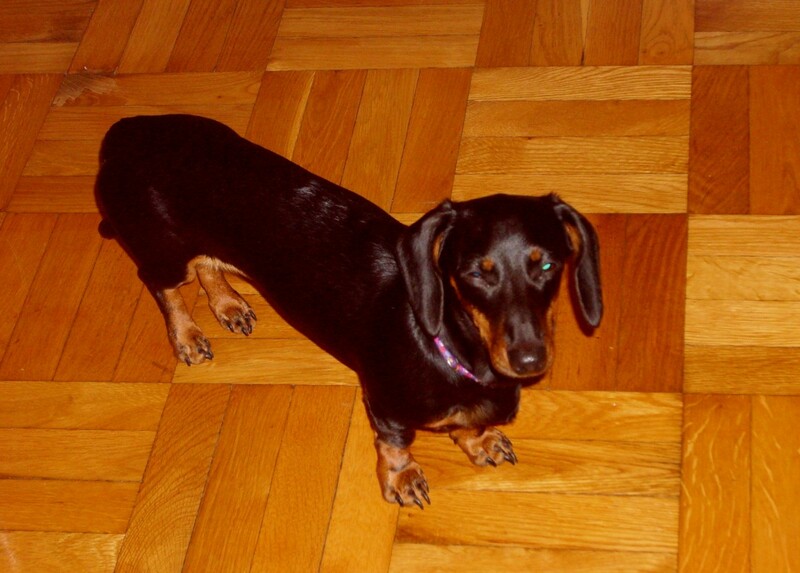 Your dog’s quick movements might frighten your rat and cause it to act aggressively. If your dog or rat gets loose, one of your pets can get hurt. Allow your rat and dog to smell each other at a closer distance than before and observe how they handle the situation. Look for signs of aggression in your dog: raised hackles, pricked ears and exposed teeth accompanied by growling can signify aggressive behavior. Observe your pet rat as well: fluffed-up fur, whipping it’s tail from side to side and chomping its teeth can be signs of aggression. 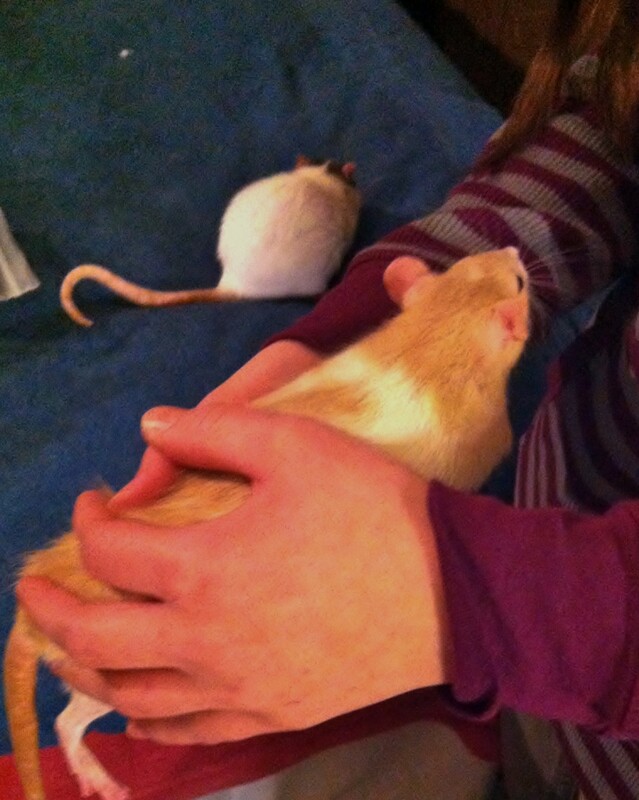 If either of your pets is showing signs of aggression toward the other, remove your pet rat immediately. Avoid any injuries at all costs. An aggressive rat can hurt your pet dog, and an aggressive dog can injure your pet rat. To avoid damage to both of your pets, separate them if they aren’t getting along. And don’t be discouraged - some dogs and rats simply won’t get along. 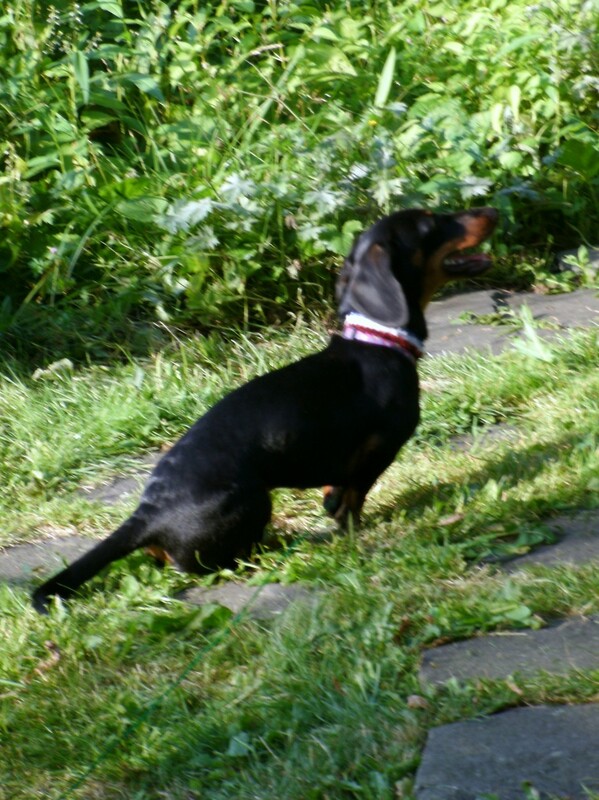 Several breeds of dogs have a history of hunting small animals, and some rats will act out with aggression toward a much larger animal. It is not your fault that your rat and dog do not get along, nor does the fault lie with your pets. 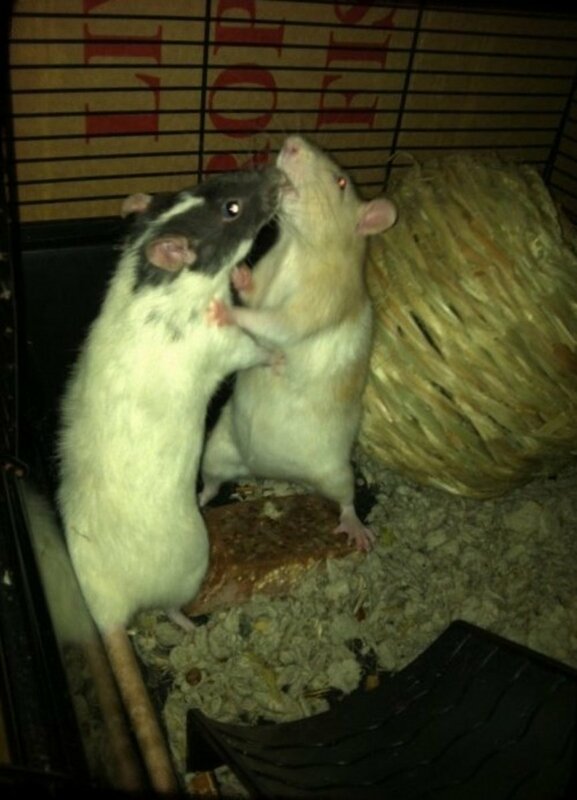 Do not punish your rat or dog for showing aggression toward the other; their behavior is in their nature. Is your dog(s) aggressive toward your rat(s)? If you house your rat in a room off-limits to your pet dogs, they will be more secure. If you have an office or bedroom in your house that your dog is not allowed to enter, try keeping the rats there. Keeping the door closed throughout the day will help keep the dogs out of the room. When you go to play with your pet rat, keep the door to the room closed as well. That way, your pet dog won’t see you giving more attention to your rats and become jealous, or sneak into the room unhindered. If you can’t keep your rat’s cage in a separate room, be sure to place it someplace higher up and inaccessible to your pet dog. Keeping your rat on the top of a dresser or bookshelf gives it a high vantage point and might even hide your rat from your dog’s view. 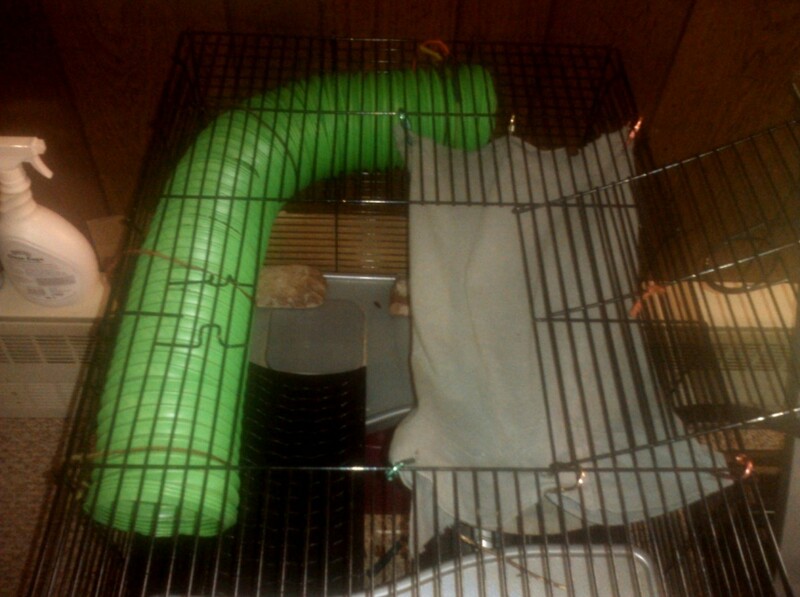 Make sure that wherever you perch your rat’s cage is sturdy in case your dog does get curious. This is an easier task if you have a smaller dog that cannot jump very high. With a bigger dog, however, even this may not be enough. If your dog is allowed free reign around the house and into the room, you’ll need the cage somewhere that your rat can feel safe and not be knocked over. If your rat escapes from its cage, it can get out of the room and be threatened by your pet dog and other animals. Your pet rat will likely become frightened and go into hiding. Furthermore, if you keep your rat cage in an elevated place, your pet rat might fall from a dangerous height and get injured. Try to get a metal cage with secure doors; if they seem flimsy, try reinforcing them yourself with locks or other materials. If you decide to use an aquarium instead, be sure to get a clip-on screen top to prevent escape. And remember that aquariums provide less ventilation than cages and will require more frequent cleaning. If you plan on giving your rats some playtime or exercise, be sure to do it in a room where you can close the doors and keep your dogs out. 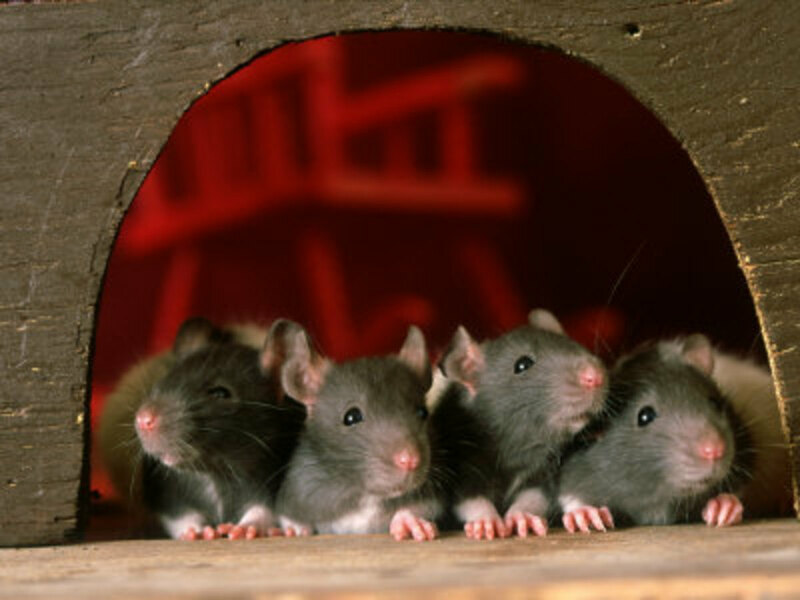 If you keep your rat’s cage in a separate room, simply keep the door closed before you let them roam. This is especially true when cleaning their cage, as they will be left unattended for some time. Remember that plastic running balls will not keep your pet rat safe: they can fall down stairs or be chased by excited dogs. The best way to keep your rats safe is to keep your dogs out. In the end, remember that animals are animals - some are predators and some are prey. 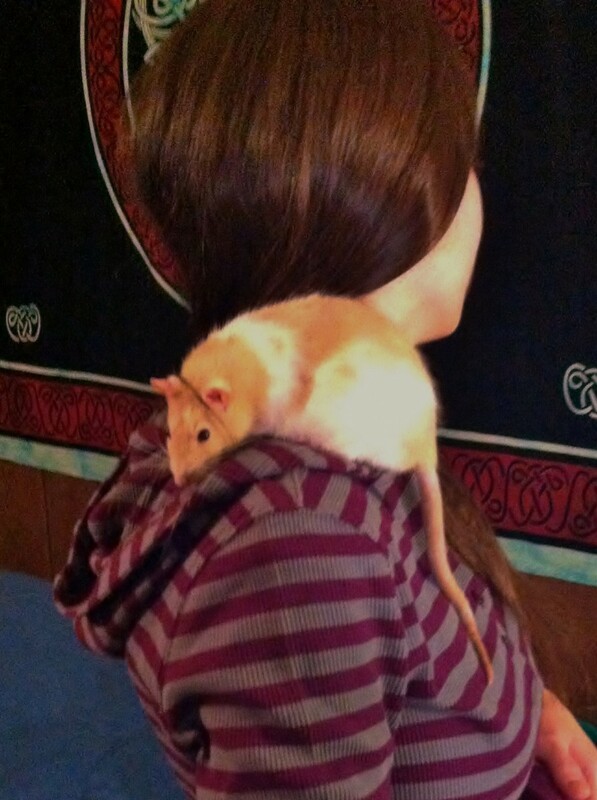 There is no guarantee that your pet dogs will like your pet rats, or vice versa. 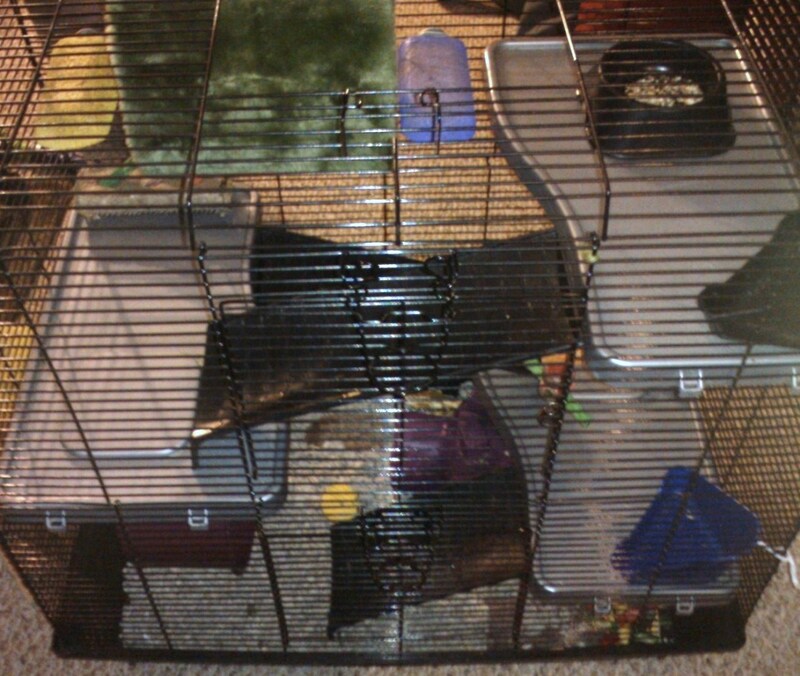 If for some reason you are unable to keep your rat cage in a separate room or in a place that your dog cannot reach, you may need to find another solution. 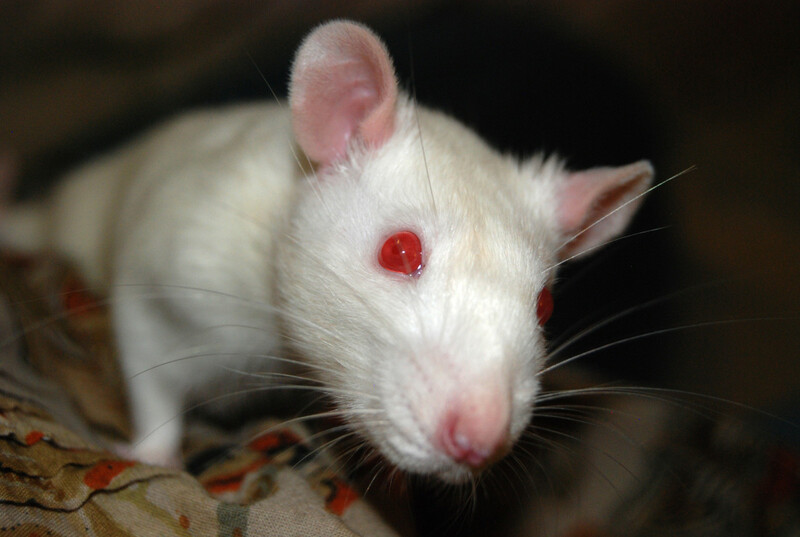 A stressful environment is not good for any pet, including rats. If your dog is extremely aggressive and persistent in getting to your rats, you may need to keep it in a crate while you are away from home. Consider all of your options before thinking of giving up a pet. @Maddie It might not be possible for them to get along, and whining all night does sound bothersome. Maybe you can try spraying some dog repellent on or around the base of the door to the room that you keep your rat cage in? They sell a few different brands in our pet store, and the smell is meant to deter dogs from going near the area. I would test it on a small spot first, to be sure it won't stain whatever you apply it to. It might be worth a shot at this point! Good luck. 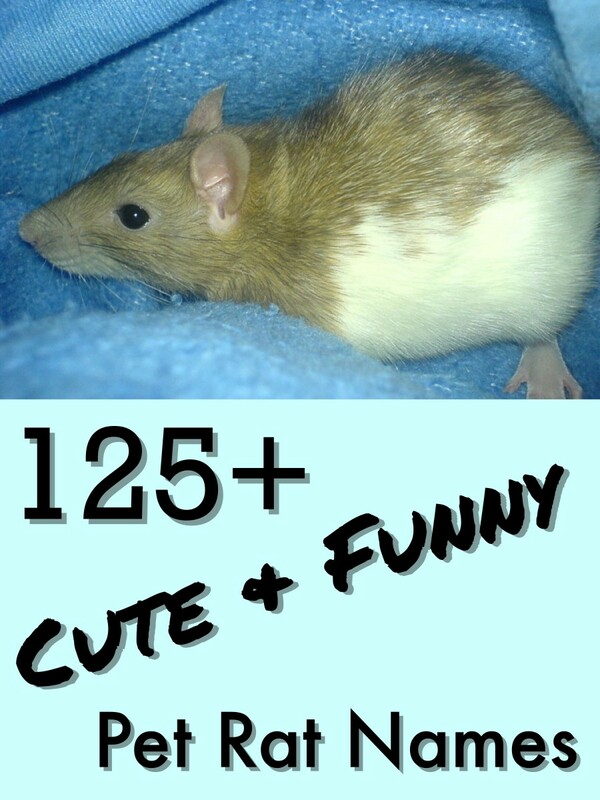 This info was useful but I keep my rat cage high, in another room, and I keep my door closed! My dog just sits outside and whines ALL DAY AND NIGHT!! My dad is getting mad and honestly so am I. I have let my dog smell my rats through the cage but he growled and my rats get stressed with him just near the cage! I want them to get along but it just doesn't seem possible! Thanks for the feedback! The dachshund pictures are of my family's dog; when I brought my first rat to visit, she wouldn't stay away from her little carrier. While she isn't a vicious dog, I didn't want to take any chances. Plus, my rat Patches can be sassy and has batted another dog on the nose before. Nicely done Dreamhowl, very informative piece. Definitely agree that there are some hunting breeds that will not get along, but to proceed with caution. Thanks. Peace. Kawi.